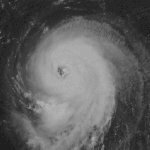 Hurricane Alberto was the longest lived tropical cyclone in the Atlantic for the month of August and third overall. It affected no landmasses and caused no known damage. It started off the African coast, made a large loop in the middle of the ocean and ended as an extratropical cyclone near Iceland. 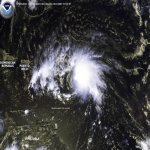 Hurricane Debby formed just east of the Lesser Antillies and reached its strongest as a category one hurricane east of Barbuda. Hurricane Debby skimmed the Leeward Islands, Puerto Rico, Hispaniola and then dissapated. Heavy rain was reported in Puerto Rico and the Dominican Republic which resulted in only minor damage. 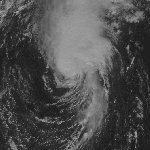 Hurricane Florence formed several hundred miles off of the southeast coast of the U.S.. It paralleled the coast as it moved northward and passed just just of Bermuda as a hurricane. No damage was reported from Hurricane Florence, although three people died in rip currents off of the coast of North Carolina. 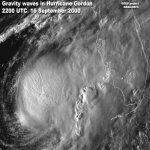 Hurricane Gordon formed as a low pressure area near the Yucatan. It briefly strengthened to a minimal hurricane off of the west coast of Florida. It weakened into a tropical storm before making landfall near Cedar Key where winds gusted up to 68 mph. Twenty three people lost their lives as a result of flooding in Guatemala. 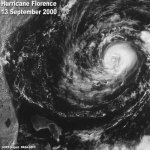 Hurricane Isaac formed off of the coast of Africa, curved through the middle of the Atlantic Ocean, and raced northeastward as an extratropical cyclone toward Europe. 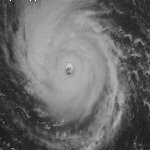 At its strongest, top sustained winds were estimated at 140 mph. Hurricane Isaac generated large swell that reached the U.S. shore and capsized a boat near Long Island that drowned one person. 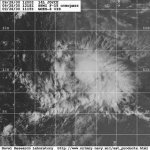 Hurricane Joyce was a minimal hurricane that formed several hundred miles east of the Windward Islands deep in the tropics. As it approached the Windward Islands, it weakened into a tropical storm. There were no reports of damage from Hurricane Joyce. 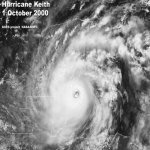 Hurricane Keith rapidly intensified into a category 4 hurricane off of the the coast of Belize then stalled. It weakened into a tropical storm as it reached the mainland. Rainfall totals of 15-20 inches were reported in Belize. After crossing the Bay of Campeche, Hurricane Keith restrengthened to a minimal hurricane before making its second landfall in Mexico north of Tampico.